This assessment tool is used to measure the quality of social participation in teenagers, adults, and seniors. 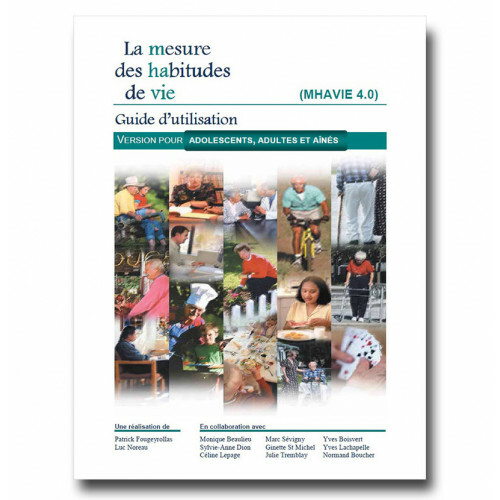 The questionnaire included in this assessment tool contains 96 items divided into 12 life habit and social role categories. For each statement, you can collect information about the dimensions associated with level of accomplishment, type of assistance required and level of satisfaction. A fee of $ 0.50 / copy is included in the price of the instrument to cover the right to use. Any reproduction of the LIFE-H, whatever the form it takes, is prohibited. Thank you for respecting the copyrights of our assessment tools and questionnaires. 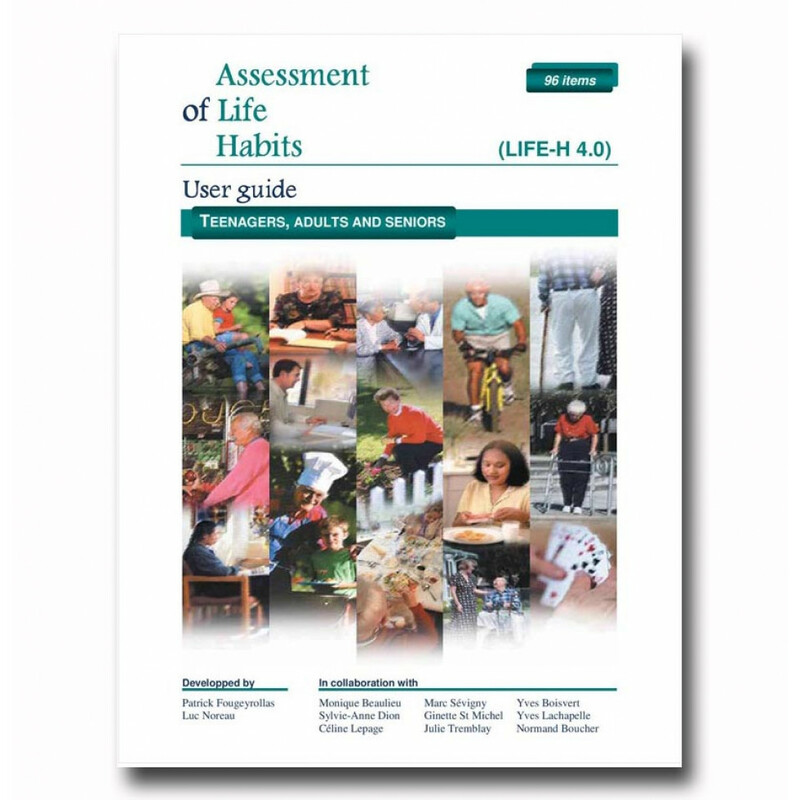 ***Some people may not be able to self-administer the LIFE-H 4.0 ASSESSMENT TOOL - general. It is important to make sure that they have the necessary capabilities to be able to do so.